Nish is a certified GDPR Practitioner and experienced Data Protection Officer with a strong background in Corporate IT, Public Sector roles, and running his own SMEs. 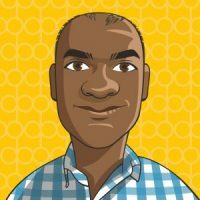 Nish’s previous experience in business analysis and training, as well as working for multi-faceted large organisations, stands him in great stead as a Data Protection Officer. With his keen eye for detail, he excels in the minutiae of data discovery, whilst his excellent problem-solving skills means he is highly adept at finding and implementing complex business compliance solutions. Nish has thoroughly enjoyed working with a variety of our clients, covering a wide range of sectors, both as an outsourced primary DPO and the lead on Impact Assessment and Consultancy projects.